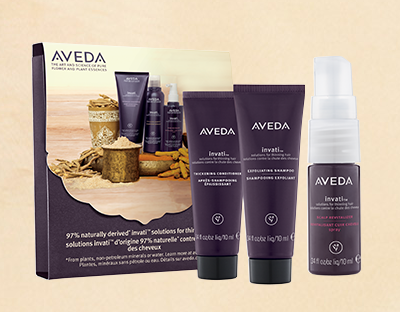 Print the coupon for a FREE 3-Piece Invati Shampoo, Conditioner and Revitalizer, then head to your local Aveda Salon to redeem. No purchase necessary. Retail value $11.50!